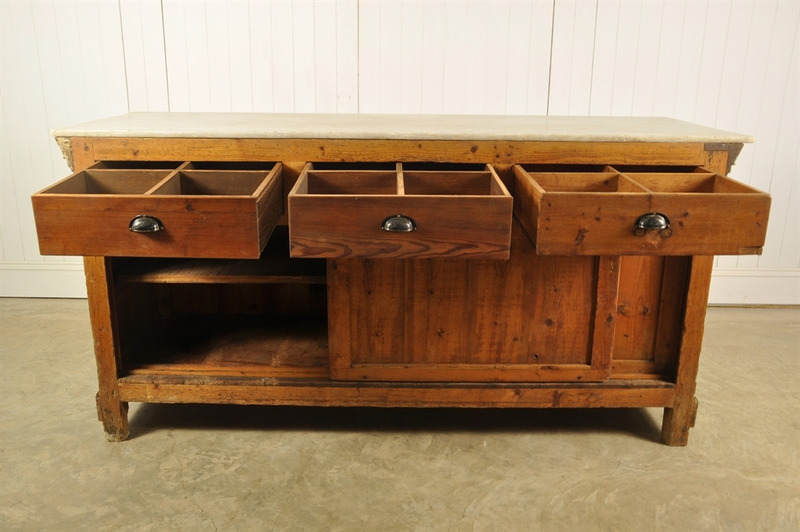 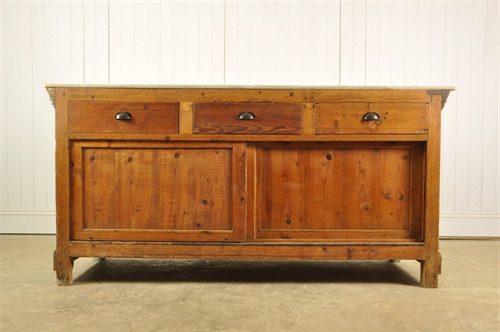 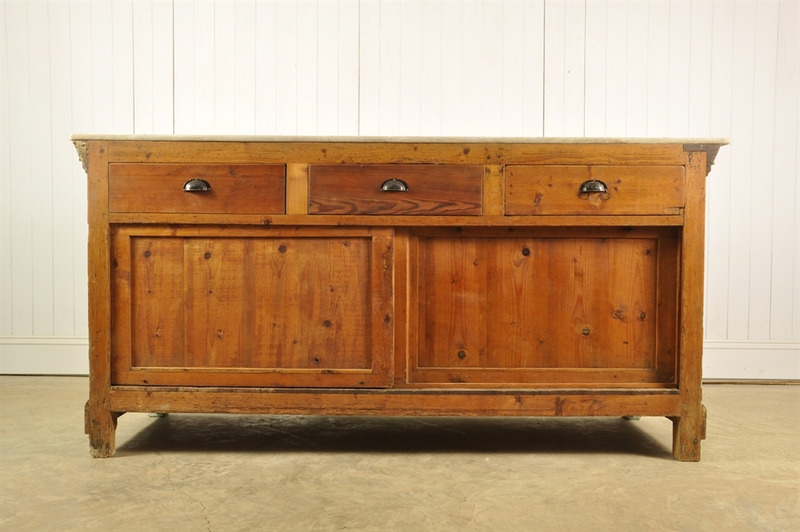 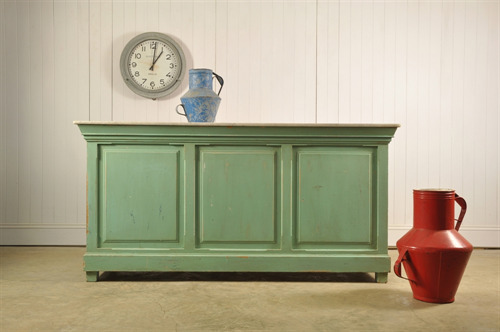 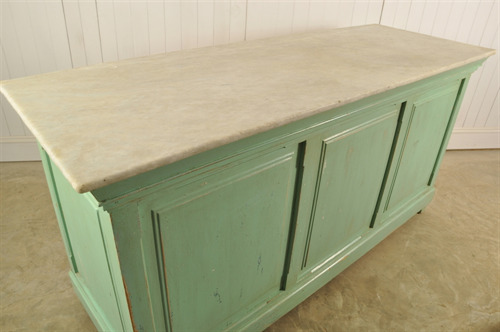 Circa 1930's this vintage shop counter was sourced from a bakery in Palma, Mallorca. The face of it has been repainted over the years and has a few knocks and scrapes. 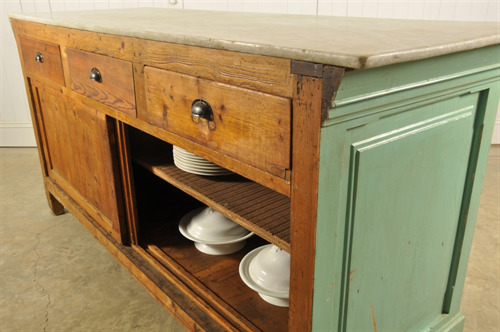 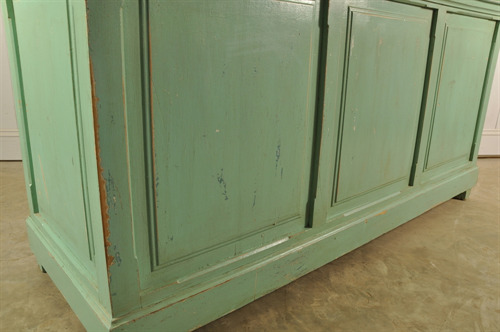 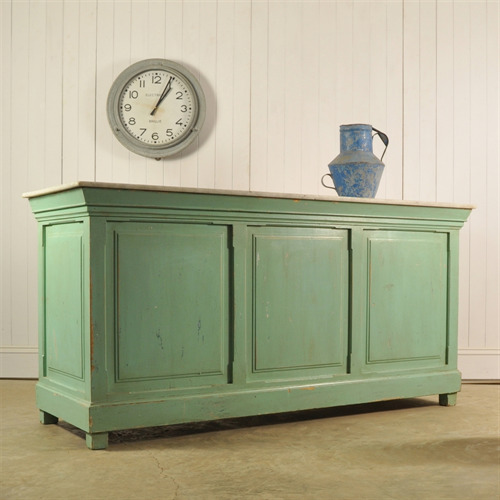 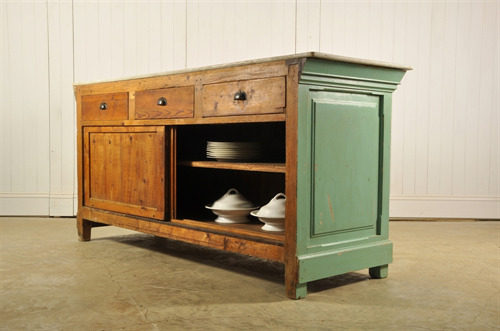 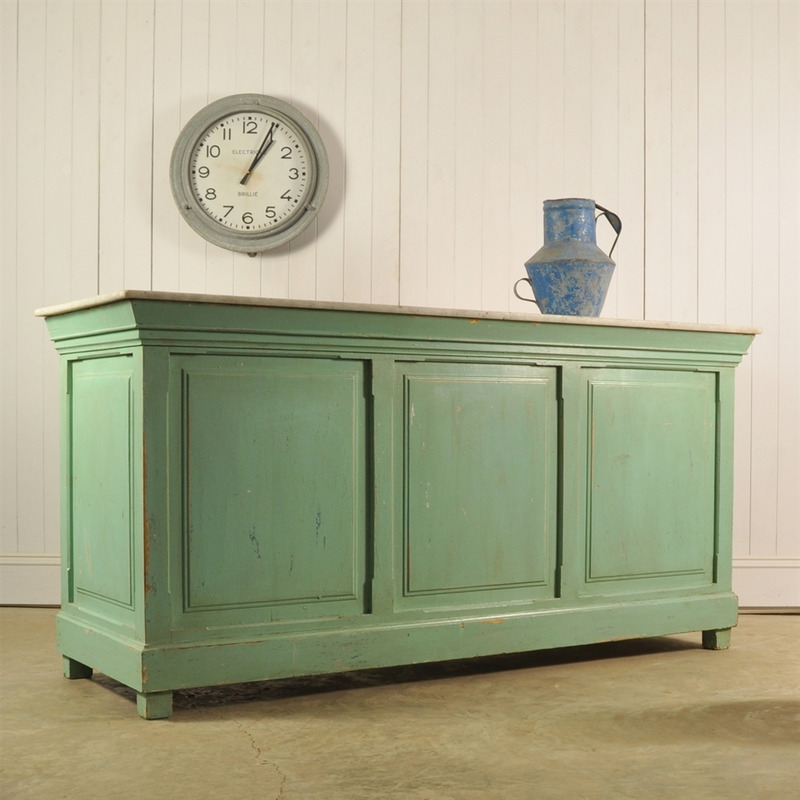 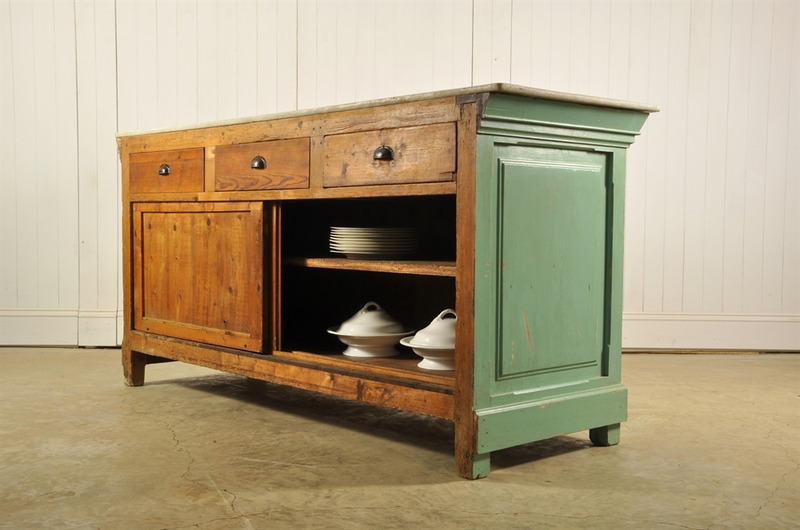 The pine cupboards at the back have a fantastic colour and patina, as does the marble top which is in good condition. 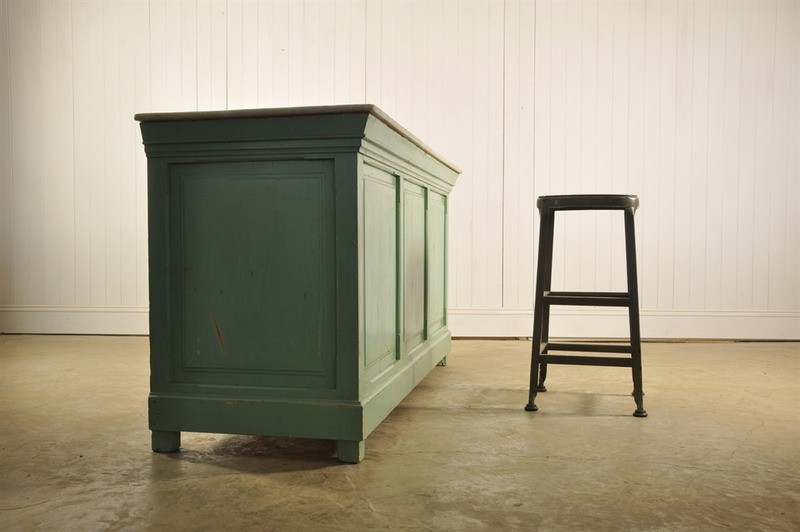 The tops lifts of easily for transport - all in all in good structural condition and perfect in a restaurant or in ones home as a kitchen island. 91 cm h x 185 w x 65 d.